Cross-Contamination and other food preparation errors are an important concern for people with allergies and gluten intolerance or celiac. Although Disney bends over backwards to handle allergies and gluten issues safely, mistakes do happen. We’ll share what you need to know to minimize the chances of encountering problems. Please note that if you have a serious allergy, it’s important to bring medication with you whenever you travel. Human error is always a possibility. What is cross contamination and can it happen at Disney World? Cross-contamination is when food comes into contact with something that will contaminate it such as an allergen. This could happen during the storage or preparation process. It could also happen before or while it’s being served to the guest. For those who have allergies or gluten issues, this can be serious. Disney has procedures in place to avoid cross-contamination. How can you help decrease your chances of having a problem? By talking to the right people when you order, asking plenty of questions and requesting the support you need, you’ll decrease your chances of errors or cross-contamination. Read our article called How to Order at Disney World with Allergies and Special Dietary Needs for info on how to do that. Do allergy and cross-contamination errors happen often at Disney World? We rarely hear about it. However it does sometimes happen. As I said before, there’s always the possibility of human error. My wife is allergic to milk and has gluten intolerance. We’ve been going to Disney World for decades and we spend anywhere from a few weeks to a month or more there each year. That means we’ve dined in Disney restaurants at least hundreds of times. In all this time, she’s had two issues come up that we were aware of. One was in a non-Disney-owned restaurant, where the manager dropped the ball. Lesson learned here: If you’re not 100% sure about the food that is delivered to your table, don’t hesitate to ask for a manager to confirm that what you have is what was prepared especially for you. Lesson learned here: Don’t be afraid to ask to see ingredients. In many of Disney World’s restaurants, there are fryers that are dedicated to cooking foods that are allergen and gluten free. This is great news for many people, but if you’re sensitive, you’ll want to do research at each location you’re dining at. Fryers are a natural source of cross-contamination, and even if they’re separated for different foods, sometimes the fryers may be close to each other. So you might have the fryer for French fries right next to fryers for foods with batter coating such as chicken nuggets. Check with your server, manager or chef when you order if this is a concern for you. In addition, we reached out and received the same statement directly from Alison Lovell of the Special Diets Team at Disney. Has gone through the common filtration system. Has gone through a dedicated allergy safe filtration system. Or if it is only ever filled with completely new, fresh oil. As an alternative, some restaurants can bake the food separately. Ask your server or a chef about these things when you’re ordering to reduce the possibility of cross-contamination. Disney restaurants often use prepared foods such as sauces and seasonings in their dishes, and they may not be aware of every ingredient and process that went into producing some items. Disney may change vendors, products and ingredients at any time, and the vendors may change ingredients. They may also change processes that could expose foods to potential allergens such as nuts. Their suppliers also swap out products so that upon your arrival there could be a different ingredient in a meal than what you were originally told. Ultimately since Disney really can’t offer perfection, it’s up to each guest to ask questions and to use their own discretion. If you have a very severe allergy or celiac, you probably already know that it’s best to avoid eating from buffets. Stick to having your meal prepared for you by the chef. Remember that even if buffet foods are prepared separately, you never know if a guest has switched a serving utensil, or if food from a different container has splattered as guests have served themselves. Also, food prepared for a buffet may not have been made with strict allergy processes so there could be cross-contamination during the preparation process. At all Disney buffets, you should be able to get a chef to prepare your food in the back, using allergy avoidance techniques. By having a chef prepare your meal separately, you can enjoy much of what’s on the buffet, all while avoiding cross contamination. They may even be able to make you dishes that are not on the buffet! Throughout the parks and entertainment areas you’ll find kiosks and food carts with snacks. The items they offer vary, but they can include things like pre-packaged chips and ice cream, hand-dipped or soft ice cream, fruit, hot dogs and turkey legs. The cast members in kiosks usually have no allergy training, don’t usually wear gloves, and won’t be able to handle special requests. Also they’re working in very small spaces and there’s a higher chance for cross-contamination. If you’re dealing with a severe allergy, keep in mind that even if you’re purchasing a sealed product such as chips, the cast member who is handling your chips has probably also handled whatever else is being sold in that kiosk. So there’s a chance that an allergen can end up on your package and onto your hands, ultimately ending up in your digestive track. If you need to avoid that type of possible cross-contamination, you may wish to avoid purchasing food from a kiosk that sells items containing the allergen(s) you’re concerned with. Also, hopefully they’ve washed their hands before starting work in the kiosk, but you never know. So for those with severe allergies, buying from kiosks may not be worth the risk. In Disney Springs there’s an area where there are several food trucks. The kitchen’s on these trucks are very small, and they’re not set up to handle allergies and intolerance’s. The same cross-contamination issues you’ll find described above for kiosks will be true of the food trucks. Disney World runs several festivals including Epcot’s Food & Wine Festival and the Flower and Garden Festival. During these festivals they put food booths up all around the lake. Although Disney will tell you if a food item is made with gluten free or vegetarian ingredients, there’s always the possibility of cross-contamination. This is in part because of the small kitchen and the tight working conditions. If you’re planning to order from a festival booth, be aware that you may be taking a chance. Remember that Disney is in a constant state of change. Verify everything! Do not rely on the contents of this website. This is here as a start-off point for your research and to give you a general idea of what to expect. If there’s something important you need to know in order to stay safe and healthy, please contact Walt Disney World in advance of your visit to request up-to-date information and recommendations, and double check that information. Once you’re there, do not rely solely on your advance research, on the contents of this website, or even on the word of a Disney cast member. Research and make your own educated decisions. 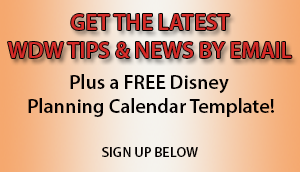 For more information on Disney World Dining visit here. For more information on Disney World dining with special dietary needs, visit here. Come meet me there, ask any questions, share your knowledge and just enjoy getting to know other Disney fanatics in our facebook group called Walt Disney World Made Easy for Everyone.